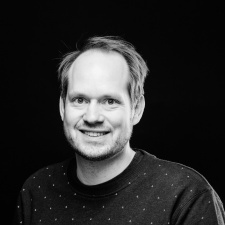 DoDreams has hired former Rovio marketing director Edvard Groundstroem as its new head of marketing. Groundstroem will be primarily concerned with managing the Drive Ahead developer’s ongoing marketing strategy, brand direction and partnerships. He will also lead user acquisition efforts and direct the studio's’ social media and PR activities. Groundstroem previously worked on two of Rovio’s top grossing titles, Angry Birds 2 and Angry Birds Match. He's had an extensive career in marketing working with brands like Apple, Mattel and Google. “There’s naturally great responsibility that comes with games as established as Drive Ahead, but I’m confident that together with the studio’s enthusiastic and motivated team we can achieve even bigger feats going forward,” said Groundstroem. Groundstroem isn’t the first to make the jump from Rovio to DoDreams. The company appointed ex-Rovio EVP William Taht to its board of directors back in August. DoDreams also snatched up former Rovio SVP Sami Lahtinen earlier this spring. DoDreams CEO Erik Pontikoski and head of marketing Edvard Groundstroem will be speakers at Pocket Gamer Connects London 2019, which takes place on January 21st to 22nd.